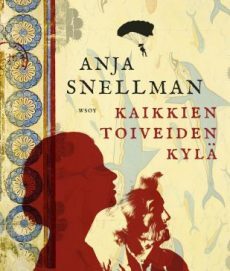 Household name Anja Snellman returns with an atmospheric novel about unexpected friendship and the enduring strength of women. Agave lives in solitude, in a remote village highly up in the mountains of Crete. With her donkey, hens, cats and dogs, the ninety-three-year-old woman keeps to herself, until the day she happens upon an injured foreign woman on one of the goat trails on the hillside. Inviting Monika into her home to recuperate, Agave and the young woman’s friendship grows over the summer, revealing their own dissecting stories and tales of Europe, the decades of excess, of luxury and ruin and acts of love and cruelty. Bestselling author Anja Snellman (b. 1954) returns with an assured and evocative novel of women’s fiction, reminiscent of Kristin Hannah’s The Great Alone and a must-read for those who loved The Island by Victoria Hislop. English sample ca. 70 pp.